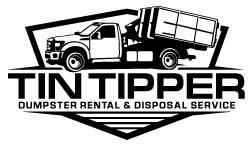 Tin Tipper : Dumpster Rental has been servicing all of the dumpster rental needs of the residents and business owners of Lee County. Whether you are remodeling, spring cleaning, moving out, or simply getting rid of junk. Tin Tipper is your cost effective and quality service option. 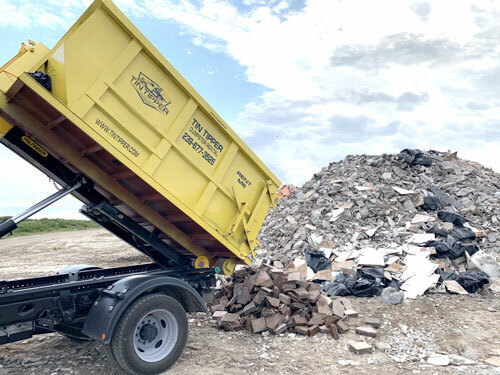 Tin Tipper : Dumpster Rental is an all-inclusive private waste disposal company offering 10, 15, and 20 yard debris bin rentals in Port Charlotte. We service both residential and commercial customers in the Buckingham and Surrounding areas. Affordable with high quality service. 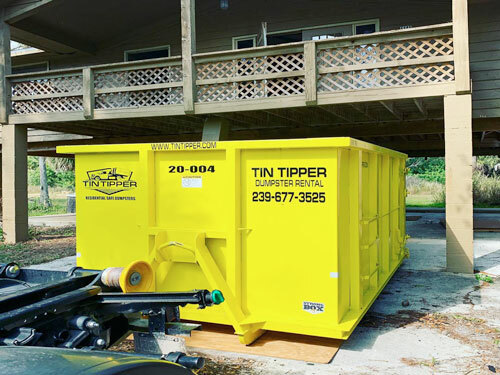 Port Charlotte Dumpster Rental |Tin Tipper provides Dumpsters | containers to Residential homes, contractors, Realtors® and property managers in the Buckingham Area. very fast ordering process to help you get on with your day! On many occasions, same day delivery in Port Charlotte! Our google reviews speak for themselves! 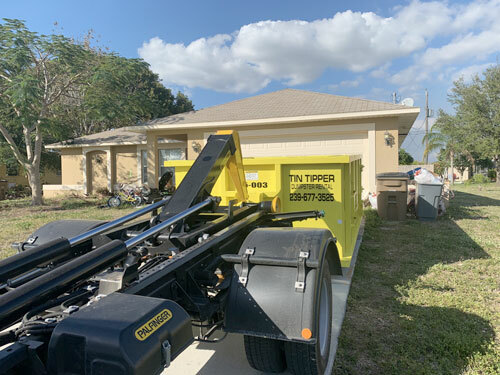 Tin Tipper Dumpster Rental based out of Cape Coral specializes in renting dumpsters at competitive dumpster rental rates to Buckingham Residences and Commercial properties. Our locally owned and operated dumpster rental company rents 11 yard, 15 yard, and 20 yard roll off bins throughout Lee County. Our dumpster rental team is experienced and ready to deliver a 10 yard, 15 yard or 20 yard dumpster to your home or office. By selecting Tin Tipper as your rental company of choice, you’re selecting a company that is established and known for high customer service with superior knowledge in container rental. To learn more or to rent a dumpster in Buckingham, call us today. On most occasions your next dumpster rental can be delivered the very same day! call 239-677-3525. Some of our nearby dumpster rental service areas! Tin Tipper : Dumpster Rental currently offer container services to Lee and Charlotte counties in beautiful Southwest Florida.